Why are breeders who sell to pet shops irresponsible? Is a Cavalier the right dog for me? Can I adopt a puppy and have breeding privileges? Is it important to buy a "Registered" Cavalier King Charles Spaniel puppy? Eight weeks or twelve weeks? Do Cavaliers need special grooming? Are they good guard dogs? Are Cavaliers good for a family with little children? 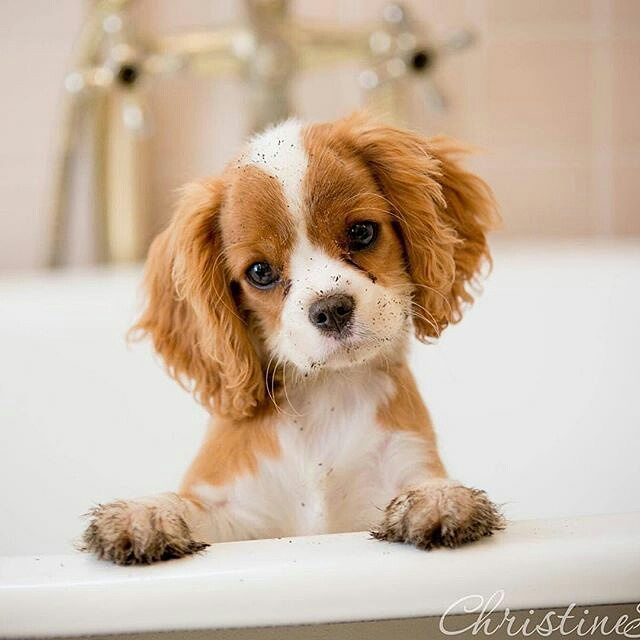 Are Cavalier King Charles Spaniels barkers? Are the puppies implanted with micro-chips? Are they good with seniors? Do puppies need other vaccinations and when? Do they get along with other pets? Has my puppy been de-wormed? How difficult is it to train Cavaliers? How old must a puppy be before leaving to a new home? How do I choose the vet? Is it a problem to have a Cavalier in the same household with other dogs or cats? Is there any different care needed for our Cavalier in winter time? What size of crate should we get for our puppy? When will our Blenheim (white & chestnut) or Ruby puppy will get darker brown colour? Which deodorizing spray/liquid is the best for removing dog urine smell from floors? The first step involved in dog grooming is: Brushing! single most important step in grooming. your precious four legged friend. you will find it a happy and rewarding time together. Trained from puppyhood, your Cavalier King Charles Spaniel will enjoy this special time with you and appreciate his clean feeling. ​– a sweet aroma to his demeanour. I recommend doing what I call the sniff test. puppy and if you find they are stinky, bathe them. outside you can also bathe them. almost impossible to remove once wet. him clipped again after the fur grew out a bit. rather than a show dog. and shiny using a firm-bristled brush and wide-toothed comb several times a week to keep tangles away. 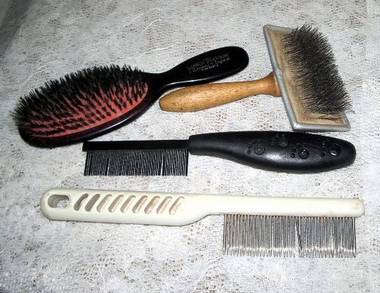 a slicker brush, a straight comb, a soft brush, a pin brush and a shedding tool such as as a "Furr-minator". solution, eye wipes or cleaner, nail clippers and some styptic powder. ​if you choose not to get your dog groomed professionally. ​just a little more. If you see the quick, stop, you’re done. his nails clipped early in life. ​as the ones pictured to the right. white part; don't get too close to "the quick"
where you might knick a blood vessel. ​And don't forget his dew claws! your grooming ritual. 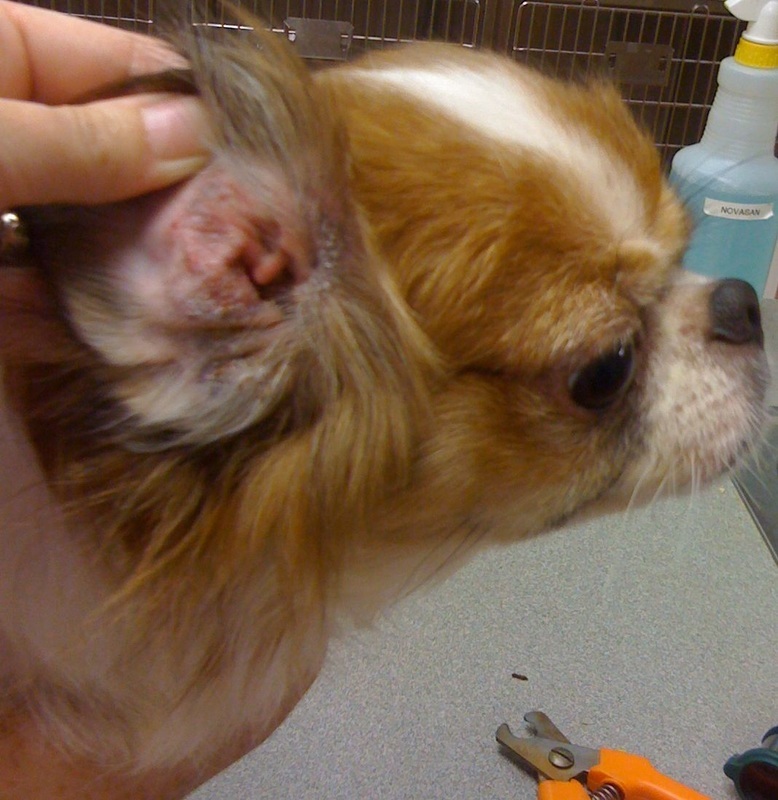 A good quality ear cleaner preferably one prescribed by your veterinarian is used weekly to clean the ears. Place a few drops in the ear, massage, and then clean out with the cotton balls. too deep in your pet's ears. piece of paper towel and gently wipe both eyes. ​​ Dental Hygiene - Consult your Vet as your dog gets older about professional dental cleanings. But there is a lot you can do at home too. on your finger so he’ll like the idea even better! 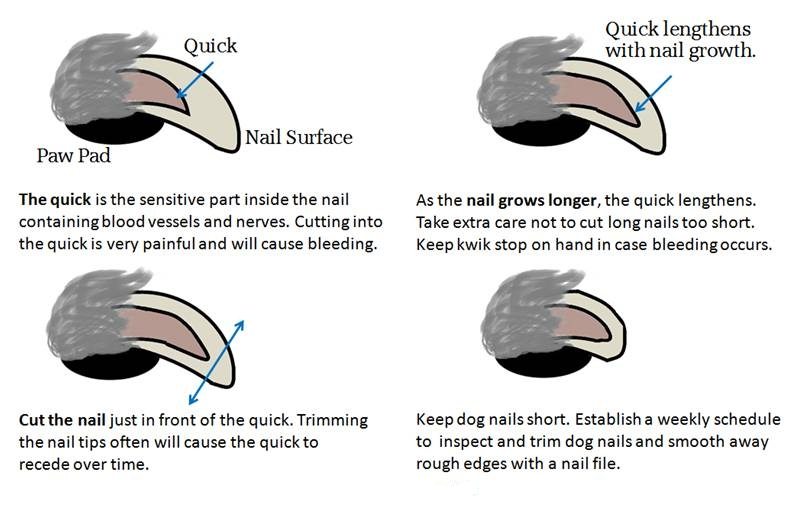 tocomplete, but it will help your dog view brushing as a positive activity. ​small but special treat rewards. Start training by placing a little dog toothpaste on your finger and let your dog lick the paste from your hand. Do this step several days in a row, and follow it with a treat reward and lots of praise. Place a little of the paste on your pet's large canine teeth in front. 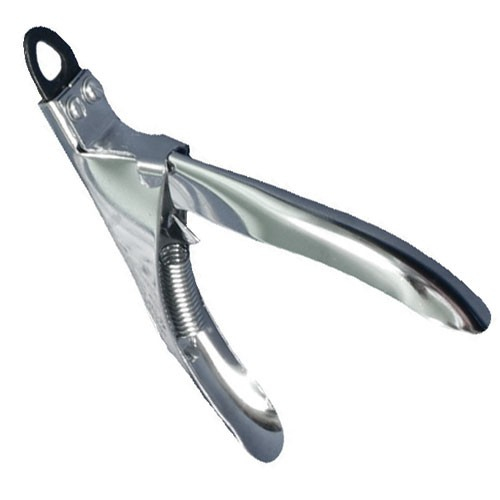 This gets your dog used to having something placed against his teeth and gums. ​it with a reward and praise. the brush near his teeth and gums. In the final phase, you will actually brush your dog's teeth. Gently hold back your pet's lips and hold the brush at a 45 degree angle to the gumline. Brush the outside of each tooth, moving the brush gently back and forth. Talk to your dog in a soothing voice and always follow brushing sessions with a treat. Brush just a few teeth the first time, and gradually lengthen the session each time until you're brushing all the teeth. When finished, be sure to reward him with lots of petting and praise. The rewards and praise will help him associate brushing as a positive, rewarding experience. Ideally, you'll brush your pet's teeth every day - but at least a few times per week.